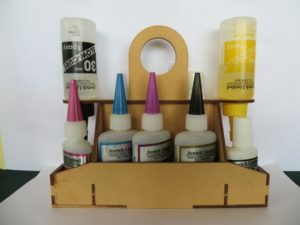 Avetek Limited produce a range of accessories designed to help modelers organise their workplaces and generally tidy their act up. 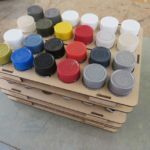 All these products are generally made from 3.0mm mdf and come flat packed for your assembly. These products have been developed from long personal experience! 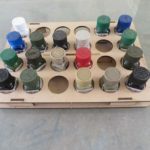 This is a simple laser cut MDF that will allow you to store your epoxies and cyanoacrylates in one place. It also features two holders to allow the epoxy to sit inverted prior to using. 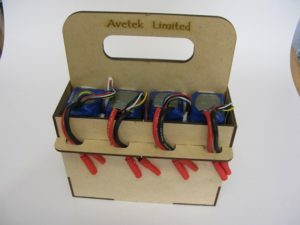 These battery boxes are suitable for up to 5000 maH 5 cell lipo batteries. 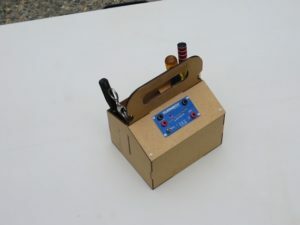 These boxes come in 2 sizes - 6 or 8 battery capacity and feature an in-built restraint for the external leads. These are a great way to store and transport your batteries to and from the field. These are just the best thing for modellers. We all have dozens of paint tins and bottles in ice cream containers or cardboard boxes. These allow you to tidy the clutter. 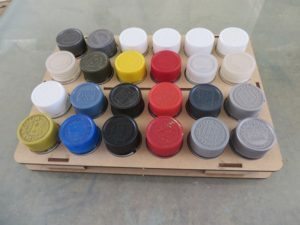 These come cut to suit either 24 x Humbrol tins or Tamiya sized small bottles or in the larger sized 20 x Tamiya Bottles. 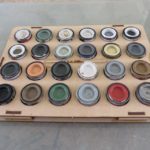 These Paint Tidy's are 225mm x 180mm in size and will stack neatly away in your draws or cupboards. These are for those who have a lot of balsa. 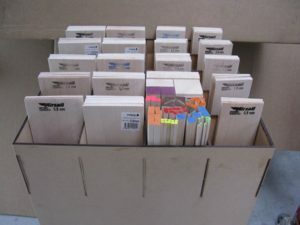 The consist of precut series of panels that assemble to give you 20 holes that will accommodate 4"or 3" balsa wood depending on how you place it in the hole. These come as a flatpack. The assembled box size is 430 mm x 400 mm x 875 mm high.